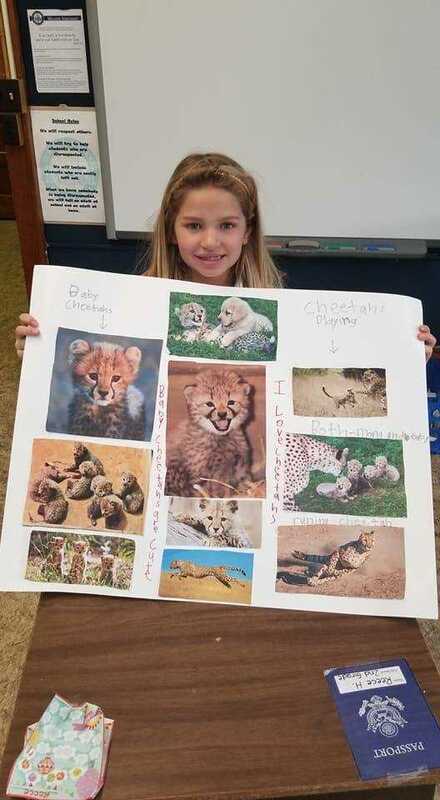 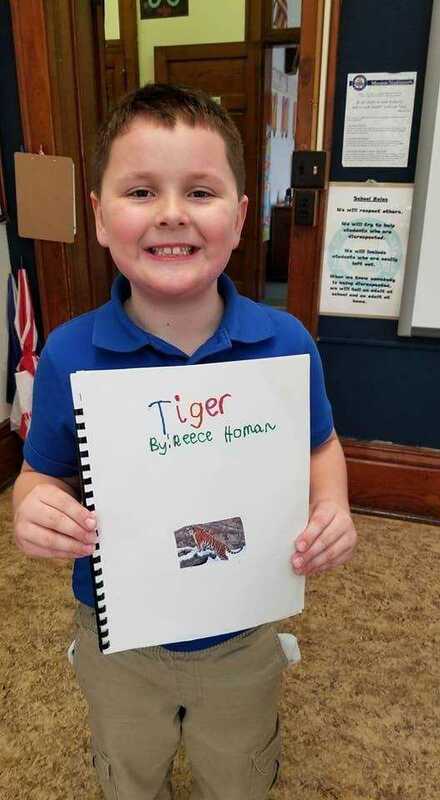 The second graders at Remsen St. Mary’s just completed their Animal Research Projects! 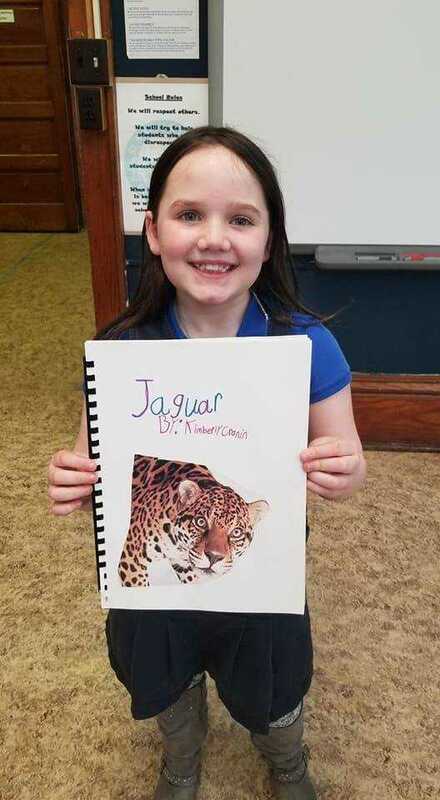 Each second grader began this project by selecting an animal to research. 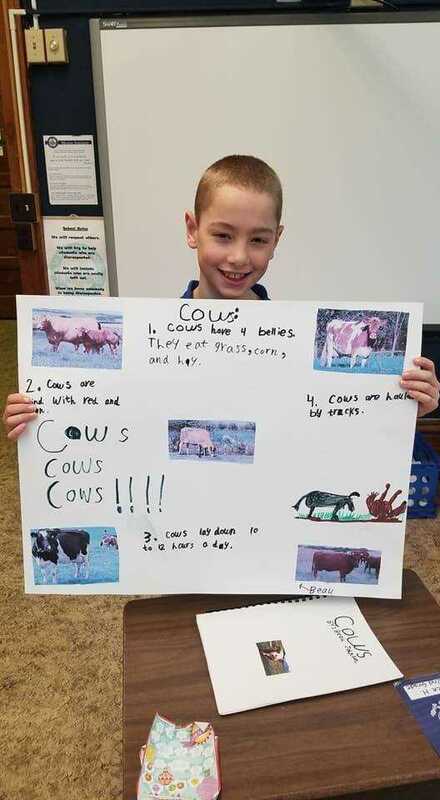 Once each student discovered all that they could about their animal, they were required to use a template to design a book to explain the animal. 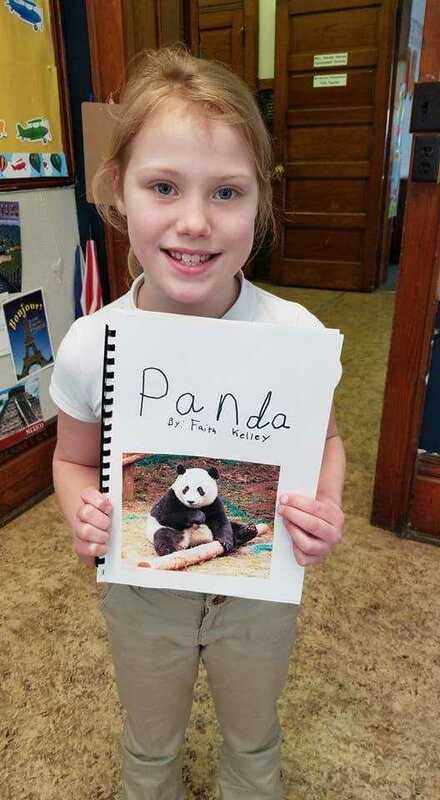 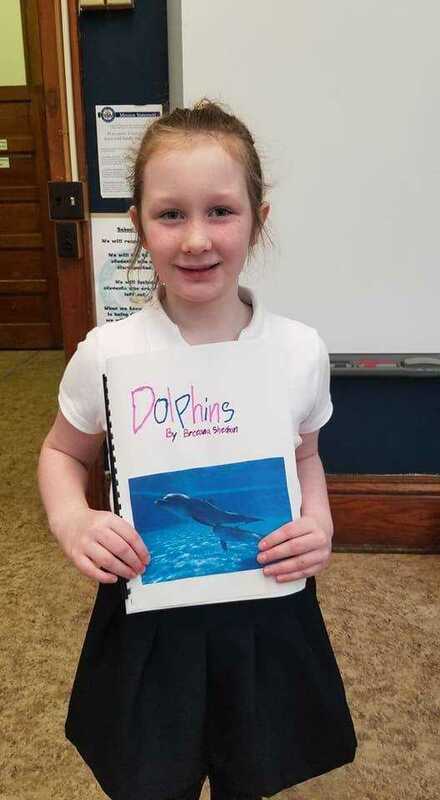 The books included a title page, basic details, pictures, and a creative writing story about the animal. 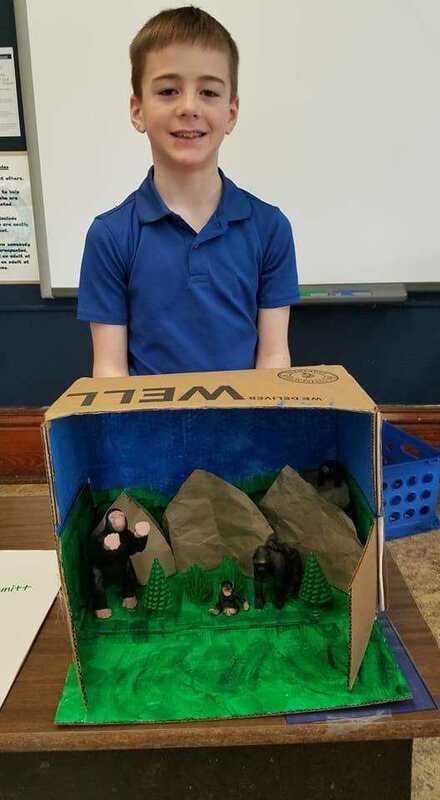 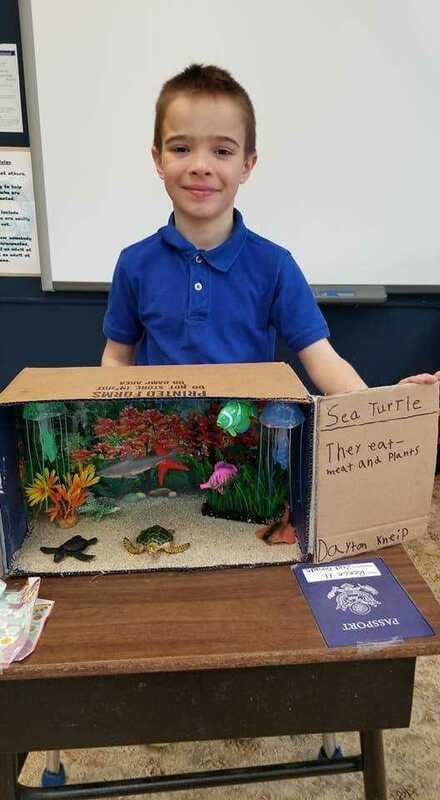 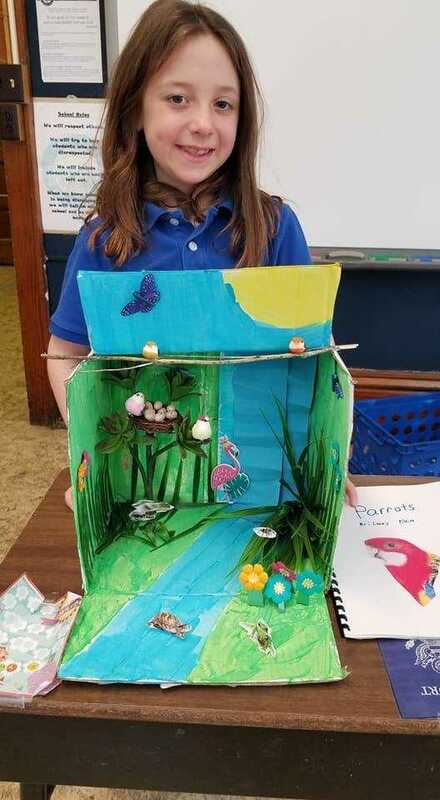 After completing each animal book, the students next created either a diorama or a poster to demonstrate the habitat/environment of the animal. 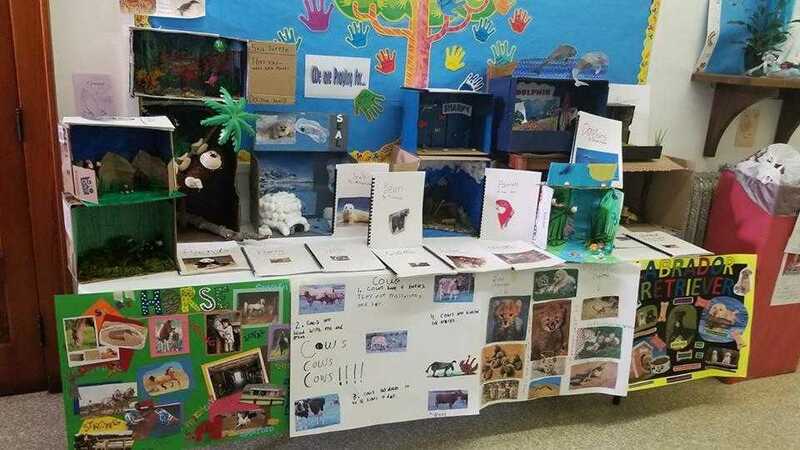 Finally, the students presented their animal, books, and project to their classmates. 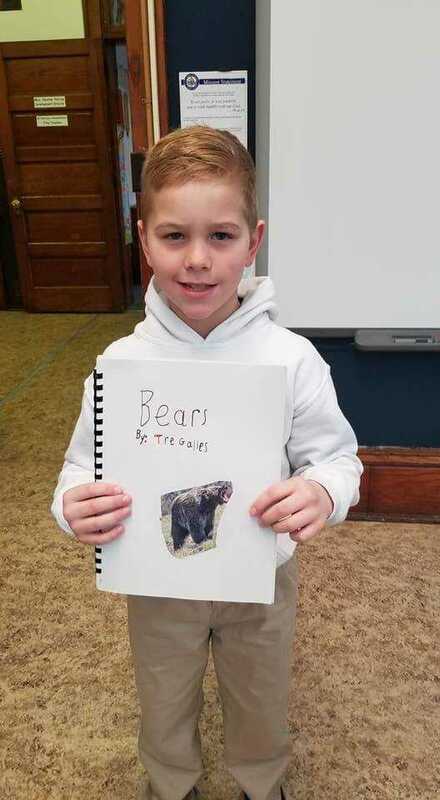 The students were definitely excited to learn more about and share each animal and their habitats! 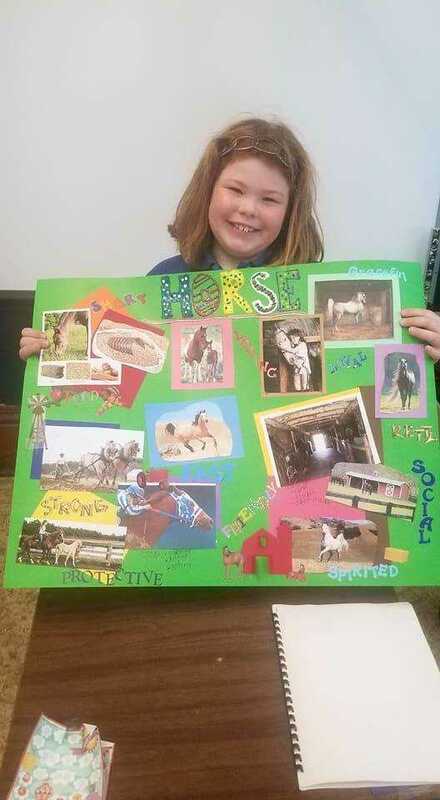 These projects will be on display at the Grade School for the next couple of weeks on the main floor. 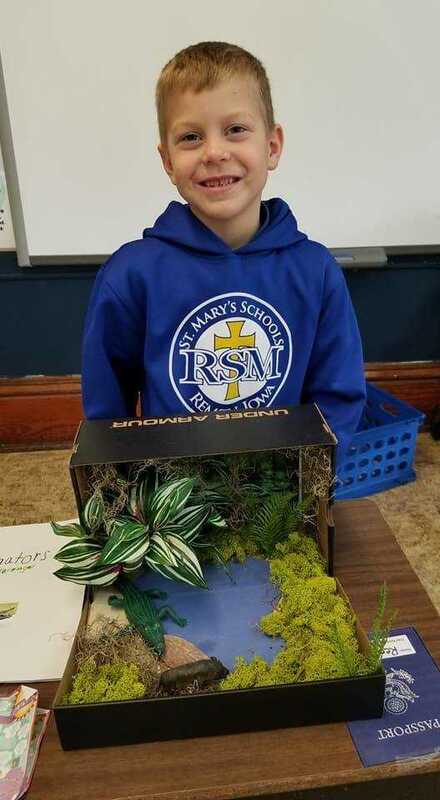 On Friday, April 6, we will take these projects to the Remsen Public Library to be on display during National Library Week. 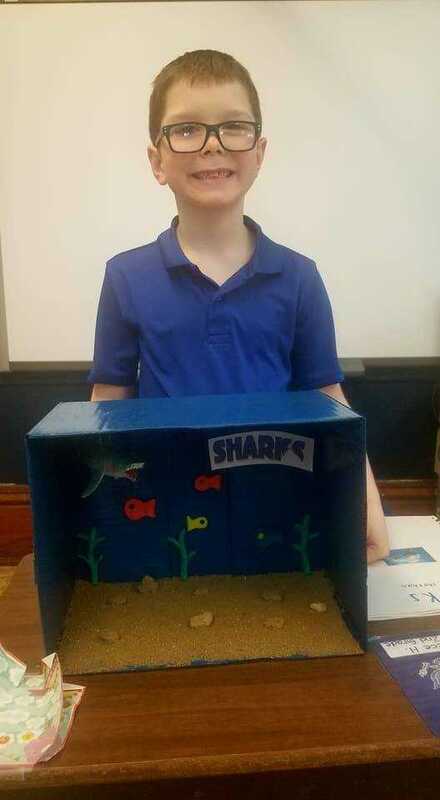 Stop by to see these amazing projects! 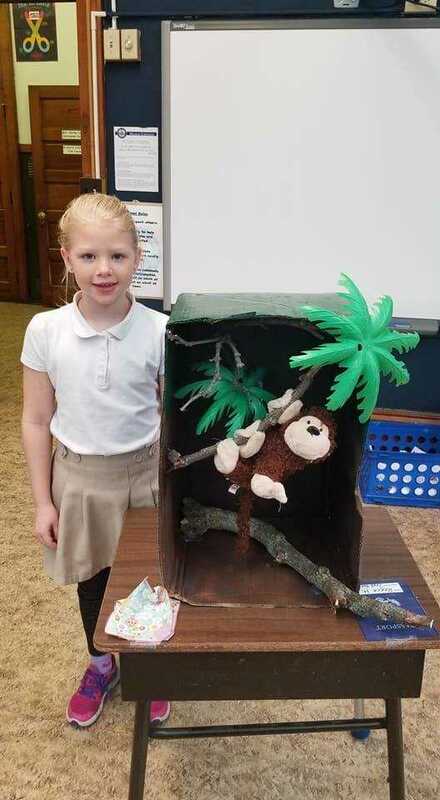 All of the second grade students' projects are on display at the Grade School. 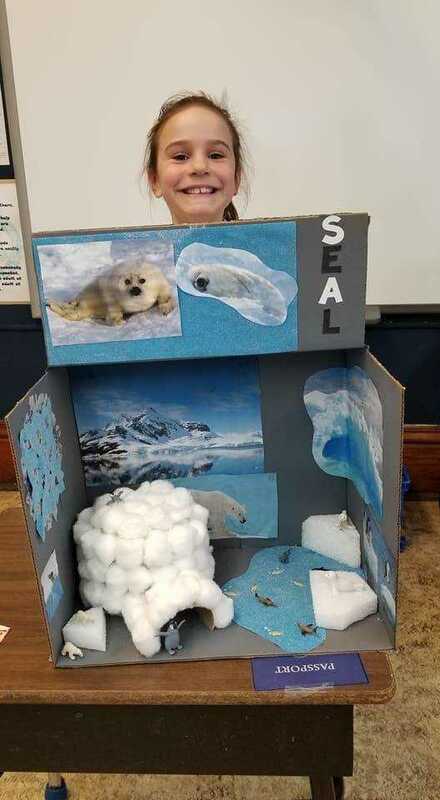 Allisyn Garvin displays her Seal diorama. 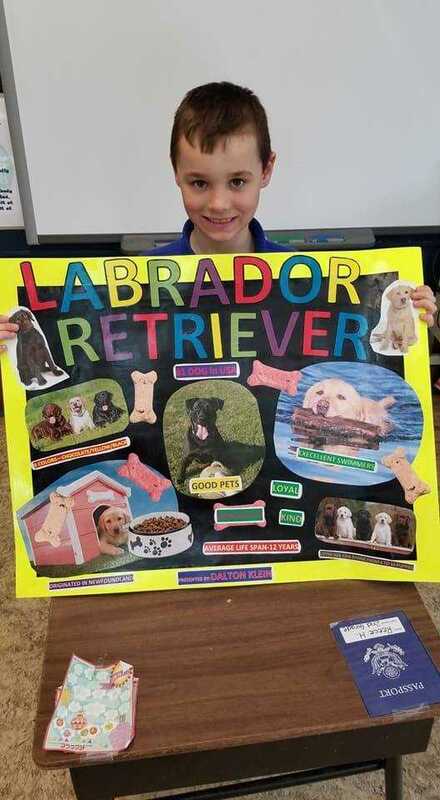 Dalton Klein proudly presents his Labrador Retriever poster.